As the saying goes “If you got it, flaunt it”, but now on video. A rising digital trend in 2015 is the use of online videos. Indicators strongly suggesting this is the future of content marketing. Since online video has become key in satisfying peoples information and entertainment needs, businesses have started to plan and adapt their internet marketing strategies to include this growing trend. According to Cisco, by 2017 video will account for 69% of all consumer internet traffic. Video-on-demand traffic alone will have almost trebled. Paying attention to all the statistics I have encountered during my research, I can only say that marketers are entering a new era of interesting challenges, yes. However, those challenges will open many doors for mental and visual creativity. Hundreds of companies are already using videos as a marketing tool. We have witnessed how YouTube has astronomically grown; the creation of Snapchat, the fastest growing social app in 2014, continues to grow in popularity. Even Instagram – although a platform for pictures – allows you to post a 15 -seconds- video – enough time to communicate a message to interact with audiences. 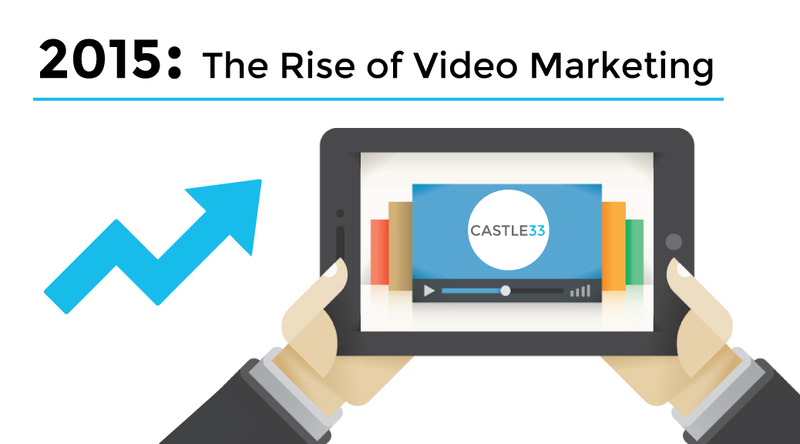 Studies predict that marketers expect video to dominate their strategies in the near future. Already we can see why. Apart from Facebook, YouTube receives more than one billion unique visitors each month – this figure represents more than any other channel. Snapchat, launched in September 2011, has 100 million active users monthly, as per 26/08/214. It is worth mentioning, the report outlines this number is growing at a very high speed. Vimeo has reported having just 100 million users, over 400.000 paid subscribers. Examples are endless and no doubt there will be more apps, platforms and channels emerging in the foreseeable future. Video content is the most effective way to show a product, a service or both in action. Due to its powerful reach in engaging audiences, it is also very effective when marketing our value proposition as a brand and/or company. Videos going viral has become popular these days. Nearly every day, a video goes viral, reaching the most recondite corners of the online world, reaching some of the smallest communities. In November, ADWEEK published a list of the 20 Most Viral Ads of 2014 – using Marketing Technology Company, Unruly – leading programmatic platform for social video advertising. Click here to see full report on the video trend 2014. The below graphic, published in an article in Forbes magazine, illustrates the huge percentage of Video Marketing. Those figures are a good translation of why videos should be part of our Content Marketing Strategy. The potential reach of videos is astronomical. It has been predicted that “Facebook may be the big winner of this year’s Super Bowl” due to the huge revelation of its native video platform. In the same article, Susan Weinschenk, Ph. D. – known as “The Brain Lady” and brand consultant to Amazon, Disney, Walmart and South By Southwest, a true expert, explains some of the complex psychological traits of consumers and why they react the way they do when exposed to video messaging. 1) The Fusiform Facial: area makes us pay attention to faces: This is an actual brain function that hard-wires us to use the human face as a gathering point for information and believability. 2) Voice conveys rich information: Yes, the simple sound of a human voice speaking to us has an amazing way of converting information into meaningful content. 3) Emotions are contagious: Here’s a subtle, but powerful aspect that we may take for granted. The body language of emotions is appealing and we naturally love to share. 4) Movement grabs attention: Another trait that runs deep in our collective anthropological DNA is the power of peripheral motion. Since the stone age, we’ve survived by noticing things in motion and it looks like we still do. Keeping these clear, deep insights in mind, why not start – if you haven’t already – mapping out ideas to potentially keep in line with this exciting and challenging fact. Already, the predictions and projections are on the rise, indicating that video marketing and social media will soon be the perfect combination for marketers to use. This symbiosis will be an effective channel for brands and companies to raise their profiles and inform leads about what you do in an entertaining and engaging way. Don’t forget to follow us on Facebook, Twitter and Instagram for all our latest videos, news and tips. Thinking of introducing video into your digital marketing strategy in 2015 and don’t know where to start? Let CASTLE33 help your business get started. Contact us by phone 083 185 7255, email [email protected], or just drop into our Blackrock offices: 33, Carysfort Avenue, Blackrock, Co.Dublin, Ireland.